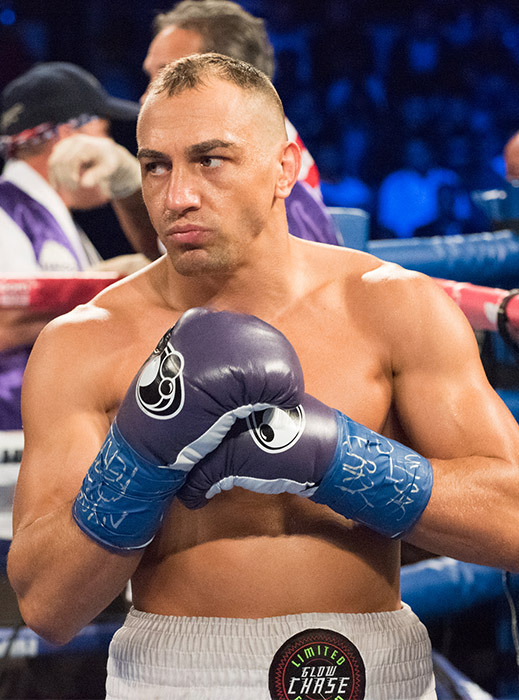 Cletus “The Hebrew Hammer” Seldin was born on September 11th, 1986. Cletus currently holds a record of 23-1 with 19 KO’s. He began boxing at the age of 22 quickly matching his natural athletic talent to become a skillful and powerful boxer. Cletus is born from a tough line of Jewish Americans, his Grandfather was the leader of the Brooklyn biker gang known as the Dragons and his father is known as the Iron Man. Seldin turned professional on July 9th 2011, scoring a third round TKO over Wilson Feliciano. Cletus is currently trained and managed by Pete Brodsky. Cletus signed with Joe DeGuardia’s Star Boxing in November 2011 and has seen his star on the rise ever since. © 2019 Cletus Seldin. All Rights Reserved. Designed by Bellport Branding.